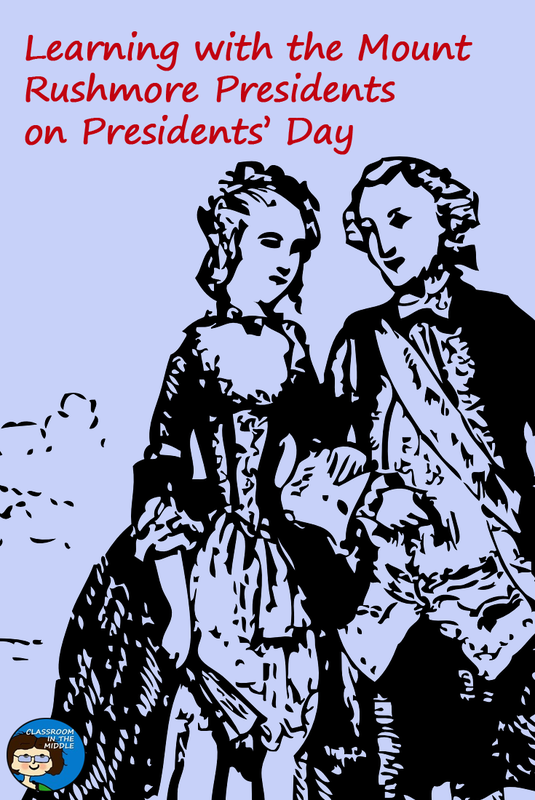 Today I wanted to share a few favorite lessons for Presidents’ Day. 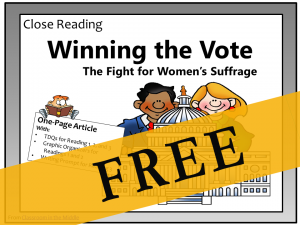 There are so many free ones out there that I decided to choose just a few that looked especially interesting for middle school or upper elementary language arts teachers. 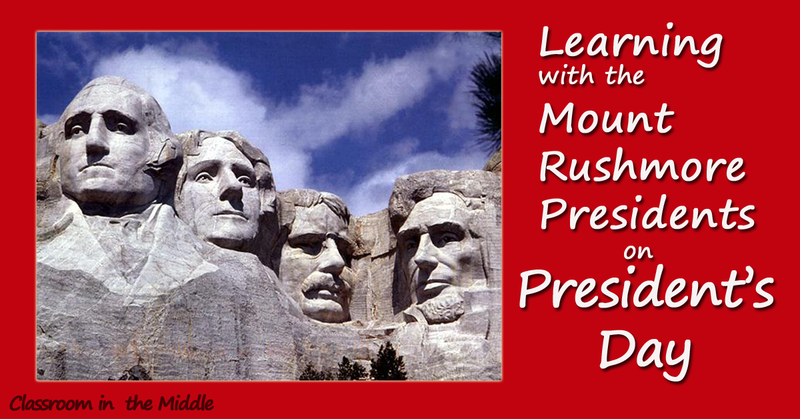 So I’m going with a theme of “the Mount Rushmore presidents,” and sharing one favorite lesson for each of the four presidents. Among just these four lessons, there is a big variety of topics and activities. 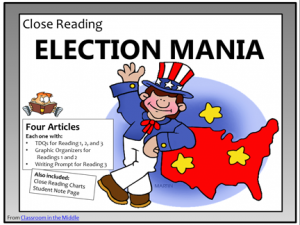 The George Washington lesson focuses on symbolism and creating a visual presentation. The Jefferson lesson is about writing a short story with Monticello as its setting. 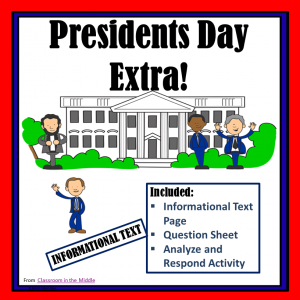 The lesson about Lincoln is all about his memorable words, and the Roosevelt activity compares issues of his day with issues of today. George Washington: Centerpiece of a Nation is one of the many lessons about US presidents on the NEA website. 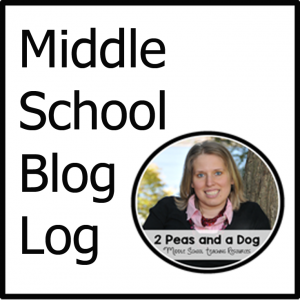 It is listed as for grades 4 – 6, but could easily be adapted for any middle schoolers. Provided with the lesson are two primary source images to use as a starting point. Both show Washington as the centerpiece of a patriotic display surrounded by symbols of the states. The main activity of the lesson is for groups of students to research a state and then create a symbol for that state. When completed, all of the images will be grouped into a classroom display similar to the historical examples. An activity sheet of questions about the two primary source images is also included in the lesson. The Jefferson lesson I chose, Introduction to Writing Historical Fiction from Scholastic, directs students to research Jefferson’s life and times, and then to use that time period and Jefferson’s house, Monticello, as the setting for a historical fiction story that they will write. 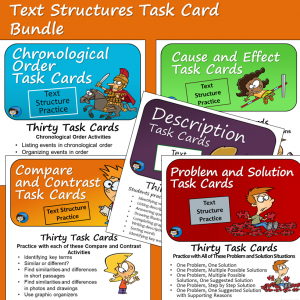 It is designed for students in grades 3-8. The research is guided by a list of specific websites to use and specific questions to answer. Looking for Lincoln Through His Words, a lesson provided by PBS, is listed for grades 4 – 5, but has plenty of depth for middle school students too. This lesson looks at some of Lincoln’s memorable words in his speeches and also at a more ordinary correspondence, a letter of condolence to the young daughter of a friend who was killed in the war. Three short video clips are provided as well as other primary source material. There are two handouts, a two-pager of Lincoln quotes, and an organizer for use as prewriting for a student-written letter. In one of the activities, students consider Lincoln quotes used by later presidents, and in another, students try their hand at writing a letter or a speech. 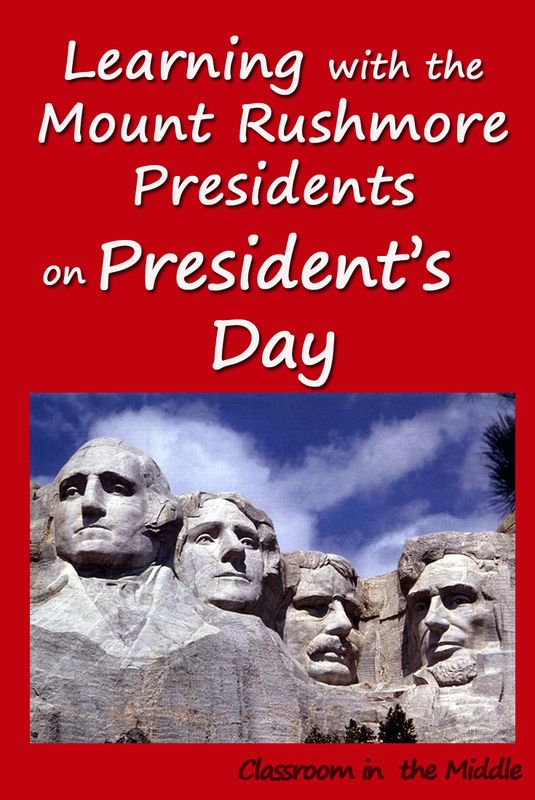 The Theodore Roosevelt Association website provides four lesson plans for students in grades 5 – 12. The first one, in which students create a timeline, is one good choice for the upper elementary and middle grades, but I actually liked Interpreting the Past; Assessing Its Impact on the Present better. It is a lesson for high school students, but I think the idea would be a great one for middle school and upper elementary classes, with some modification. The chart provided in this lesson is especially interesting. 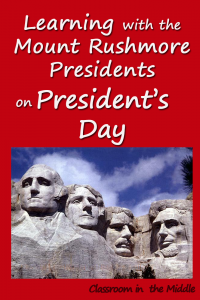 It lists a number of issues that Roosevelt faced as president and shows the response to those issues in his time. It pairs these early twentieth century issues with very similar issues facing our country today. Some of the issues are immigration, conservation, big business, and consumerism. 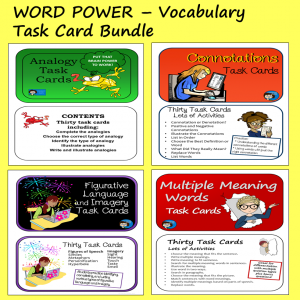 All four of these are complete, printable lesson plans with objectives for students and lots of information for the teacher.